"Skulls and Helmets", an intriguing joint exhibition at the Bar-David Museum features a wonderful artwork from our collection by STartist Tsuki Garbian. 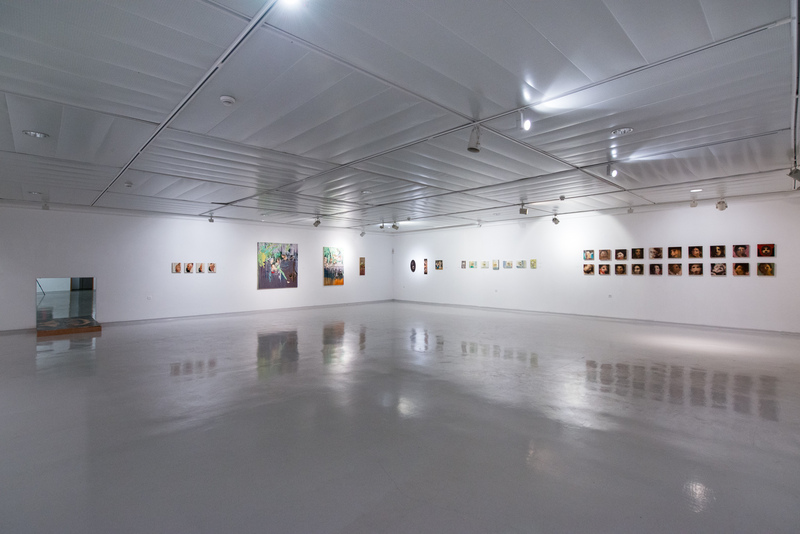 The exhibition, displaying works by artist Yonatan Hirschfeld along with Garbian, attempts to reread classic paintings painted by the great masters such as Rembrandt, Caravaggio, Goya, Velasquez, Titian and others. The two contemporary artists shine a light on different aspects of the original paintings, exposing and challenging the masters' choices. Each artist deals with complex questions concerning the artists' figure from the gospel and through Jesus' crucifixion. They look to the past to echo the present. "Double Mars" (2012), an exceptional piece by Garbian, is on display at the exhibition, courtesy of ST-ART Collection. 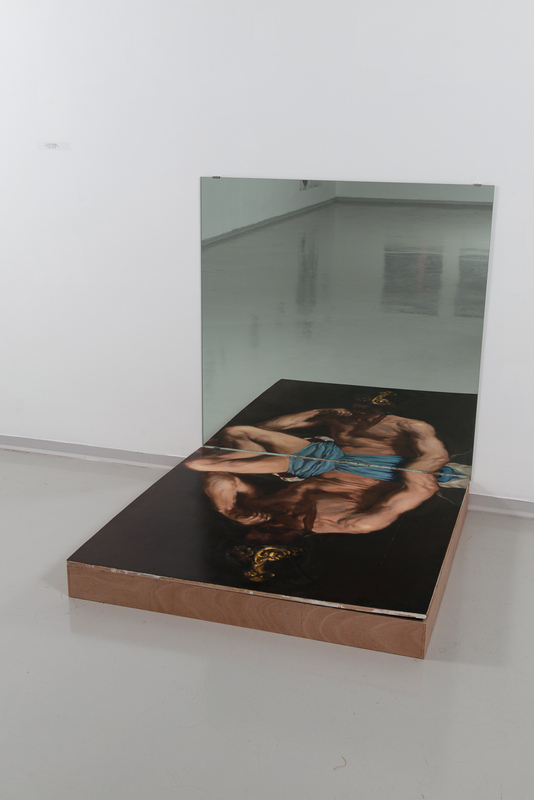 The work directly references the famous Velasquez painting "Resting Mars" from the 17th century, a satirical portrayal of the mythological God of War "Mars", depicted resting half-dressed on a bed. Garbian allegedly attempts to battle his role model Velasquez by painting his own God of War. However, Garbian includes the inherent defeat of taking on an old master in a world that Garbian deems to be more literature-orientated than art-enthusiastic, by setting a mirror right next to the figure of Mars. The mirror reflects a second Mars, protruding from the original Mars, positioning them like a "double mars" – a complete defeat in the ancient board game Shesh-Besh, commonly played in Israel. The exhibition is on view at the Bar David Museum, in Kibbutz Baram in the Upper Galili, until the end of December 2016.